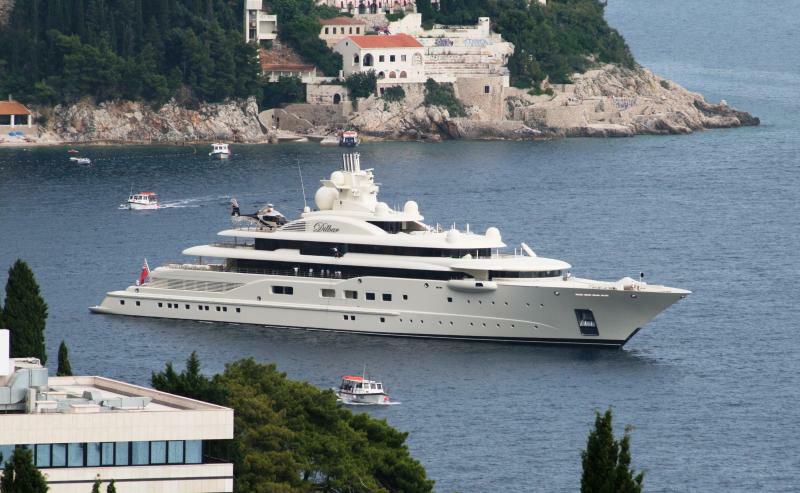 Demand for luxury yachts among successful business is growing steadily, even during the global crisis. Italian manufacturer «CRN Spa» building yachts for the world’s richest people. They may be purchased only 1,500 of the world’s population. Our Clients — billionaires and entrepreneurs. The representative of «CRN Spa», Matteo Belardinelli said that many customers have quite specific requirements: some want to aquariums on the most expensive yachts, others also important to have submarines. Belardinelli colleague, Mr. Takoli also describes the problems that they face. During the construction of vessels tastes and customer requirements often change (average time of completion of the yacht three years). However, it is known that, regardless of the style or features, these boats are very expensive. The ship has a length of 110 m. And is owned by Alisher Usmanov, who founded Metalloinvest. The name the ship was in honor of his mother. According to «Forbes», the capital of the famous philanthropist and the investor is equal to $ 13.6 billion astute businessman Usmanov has made a great contribution to the development of various areas of the Russian economy:. Steel production and ore mining. He owns a mobile operator Megafon and replicate best business daily country, Kommersant. Arsenal FC also became the object of Usmanov’s investment.